Blackhawk price is $164.39, your price for this pack from Glenn's (ONE pack only!) is 99.00! 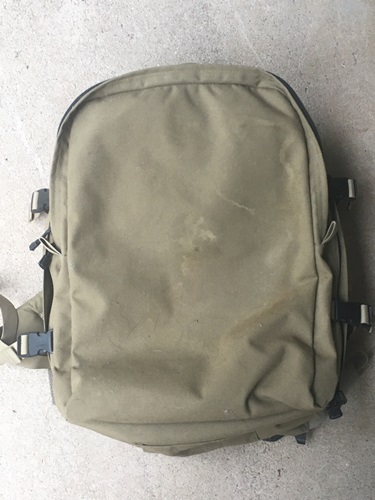 ALL PICTURES ARE OF THE BACKPACK FOR SALE HERE, so you can see EXACTLY what you will be getting. We see no signs of use, but some dirty spots on the front from storage (see pictures). With design help from the elite military medics who know the most efficient techniques in field trauma care, this medical pack will open fully to display items in an emergency. The pack is a mid-sized frameless pack with super comfortable contour padded shoulder straps and waist belt.